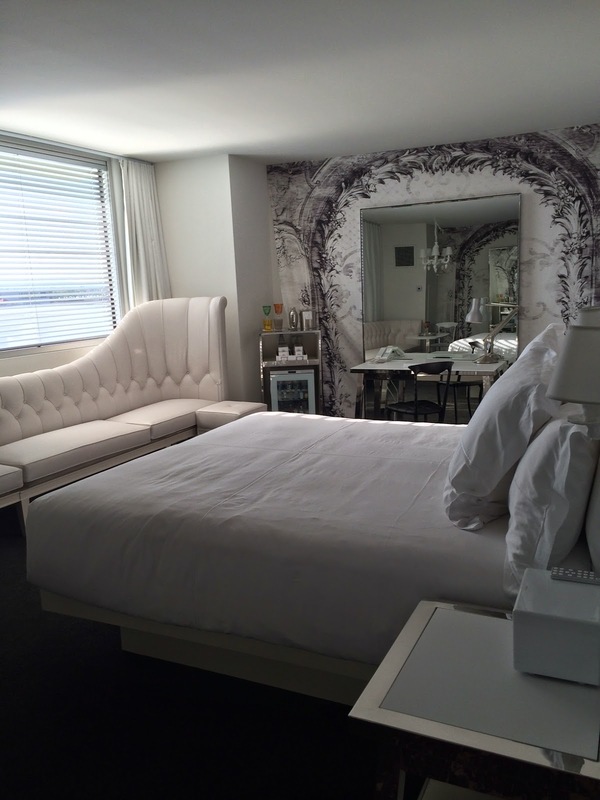 LAS VEGAS DAZE: SLS Grand Opening Night and Room Photos! 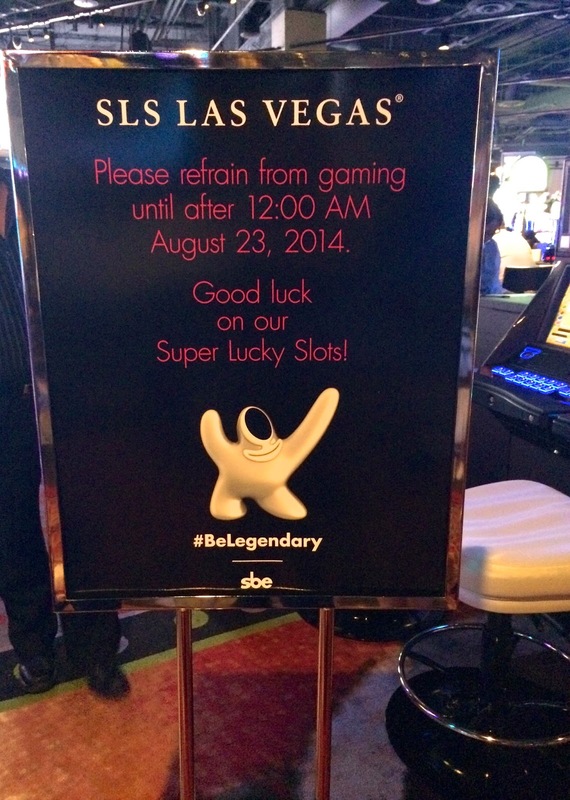 SLS opened to the public at midnight on August 23rd, 2014! Photo below with the fireworks is from their page on Facebook. I was excited to cross off my bucket list a casino opening when we found out that my friend Gwen's Vegas birthday trip coincided with SLS's opening! Gwen arranged for our group (Barb, Ger, Teresa, myself, Terri, Gator, Gwen and her Mom) to go in style in two Wynn Limos and thanks to her contact with a SLS casino host had arranged for the limos to let us off in the VIP entrance area and for us to enter 20 minutes before they opened their doors to the general public. 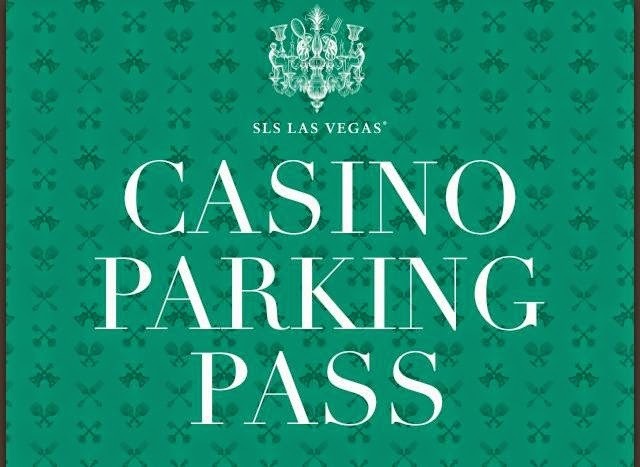 Even with the Casino VIP parking pass it was disorganized. SLS employees waved our limos around in what seemed to be circles even though Gwen had been given instructions for them to use the Paradise Entrance. However eventually we were cleared to go and were able to enter via a side door entrance. As we walked to the casino area we passed some bars and a couple restaurants. My first impression is that it's dark in the casino, much darker for example then Aria was when it first opened. It wasn't crowded yet as most of the VIPS from the fancy dinner event we weren't invited to had either left or gone elsewhere on the property. 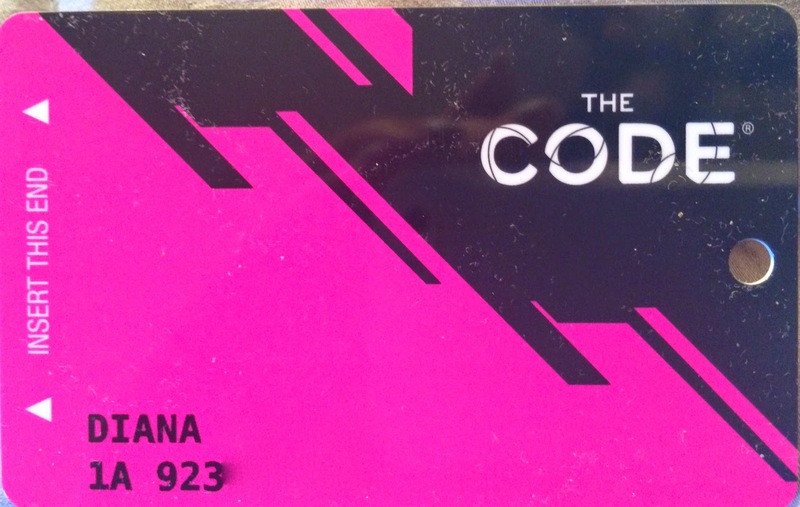 There were a few people lined up to get "The Code" players card and others were having drinks at bars or standing around waiting to enter the casino. I had signed up online to speed up the process of getting my player's card so of course I was the only one in our group that got the problem machine with the staff not knowing what to do and while the rest of our group received their player's card quickly I was last and just barely made it to them before midnight. The sign in various locations warning us from trying to enter the casino early. After the fireworks and the doors opening to the public. I had other friends (Sdguy, Dproxima, and Brent) that were waiting outside with the crowds but the line was too long and they were only letting in so many people at a time so they went on to the Stratosphere to return later when the lines had died down a bit. They later told me when they did get inside to explore SLS they also weren't impressed. Our group split up for a bit in the casino and Teresa and I briefly played a slot or two before the crowded conditions just became to much with folks bumping our chairs and if you tried to walk anywhere in the casino it was really hard to move around and most of the time someone would bump or slam into us, there just wasn't room to move. Of course this is not normal conditions of what it's going to be like from now on but I mention it because it explains why our group decided to leave early. Photo below is a wall mural in the casino. We decided instead of calling for a Wynn Limo pickup it would be easier and quicker to get a cab since most of us in the group were not going back to Wynn. Boy were we wrong, there were no taxi's for the taxi line! The valets claimed they had called the cab companies but still no cabs! Gwen called Desert Cab and asked them to send taxis, that there was a huge line of people waiting. After another 20 minutes of waiting finally a few taxi's drove up and half our group got to claim one, then another 5 minutes or so the rest of our group finally got taxi's but it looked like the long line behind us still had some waiting to do. The next day Gwen was told by a cab driver that the cabs don't want to pick up at SLS because there's nowhere for them to line up given the way the driveway has been reconfigured. Hopefully this issue at this date has been corrected if the cabbie was correct! 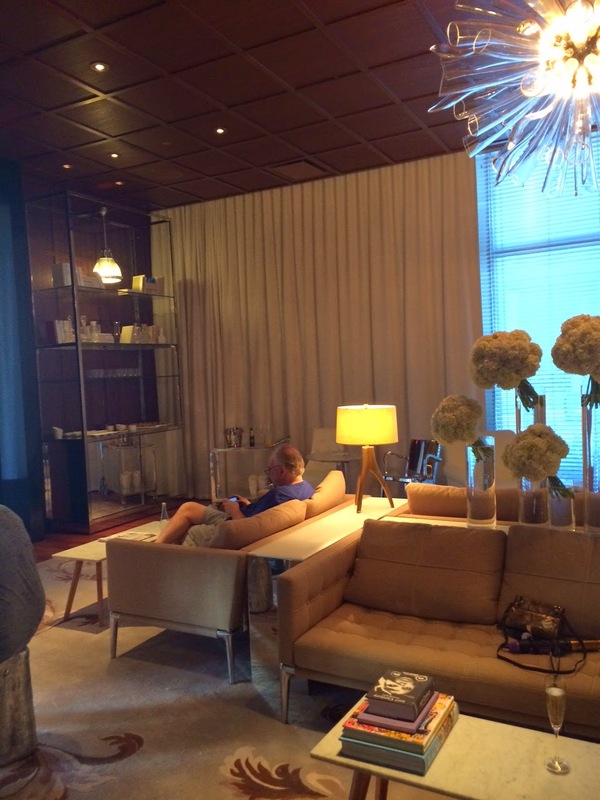 Two days after the opening my friend JJ checked in for a night at SLS. 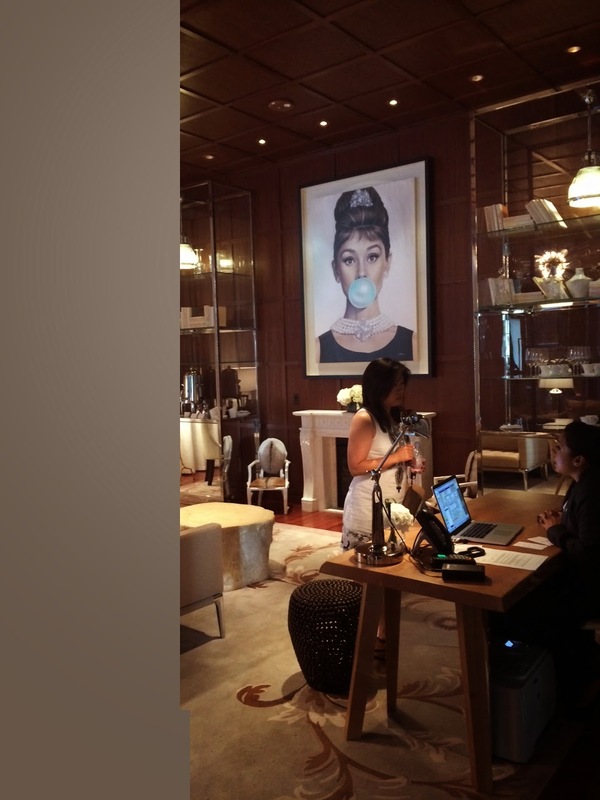 One of her former casino hosts was now working at SLS and set her up with the VIP lounge check in and a comped room. 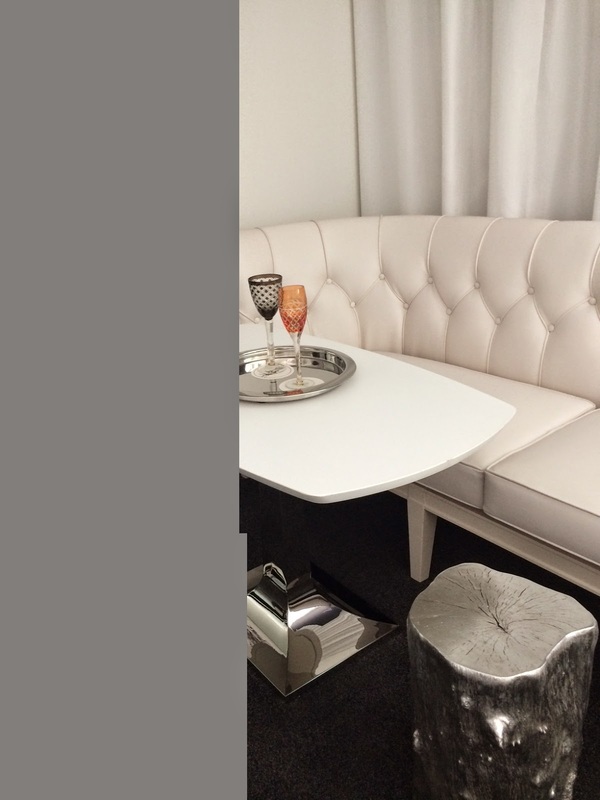 The photo above and below is of the VIP lounge. JJ liked the VIP lounge and said her 20 something kids would love the vibe! What she didn't like was that it wasn't open early in the morning. Like me JJ is used to the Palazzo Platinum VIP and the Venetian Gold VIP lounges both open 24 hours a day. 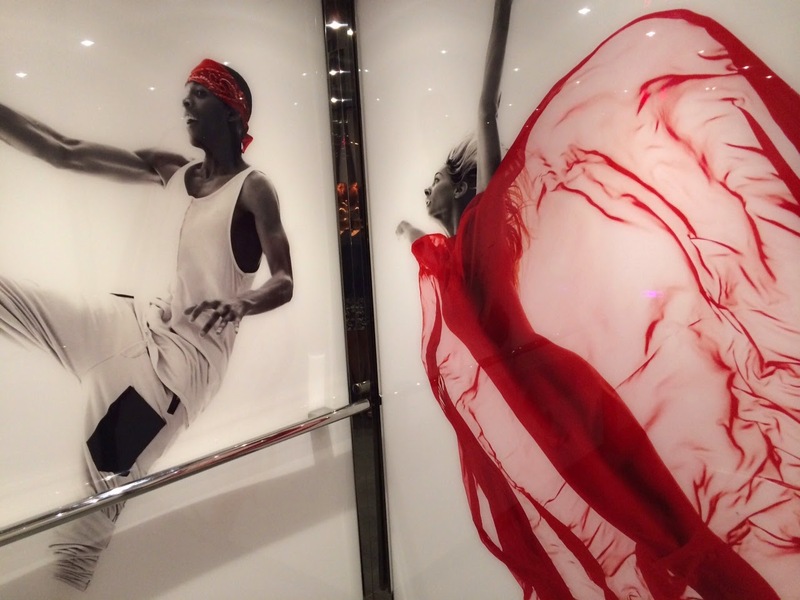 Below are photos of the room that JJ sent me. 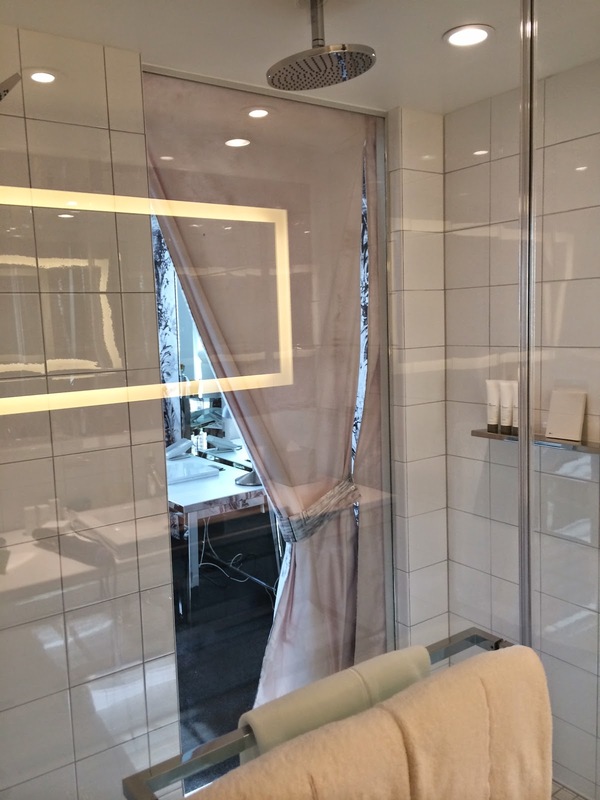 Her room was in the Luxe Tower (associated with the VIP lounge) but was small around 350 or so square ft.
JJ said the bed linens were excellent and a high thread count. 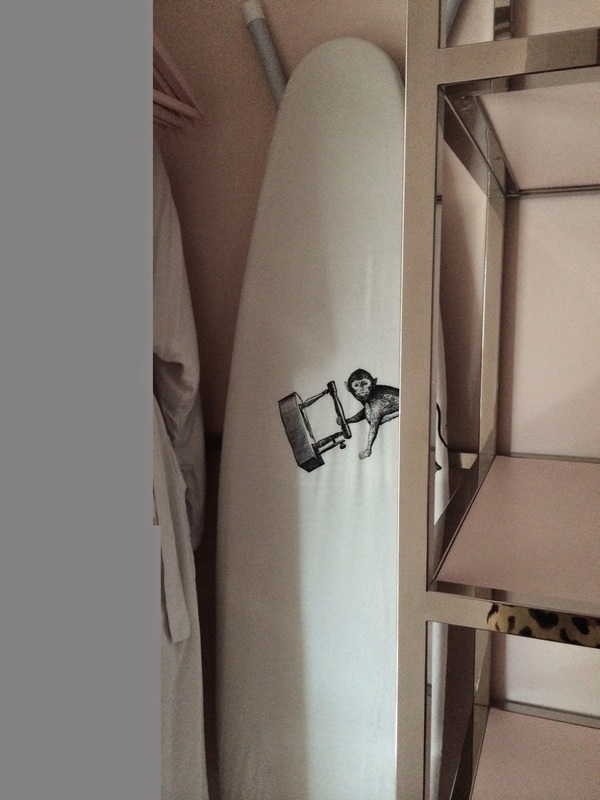 Ironing board with the Monkey theme, LOL! JJ and her husband only spent one night at SLS but this was the impression as she told it to me, keep in mind that she walked away a winner from SLS so it's not tainted by losing, LOL! 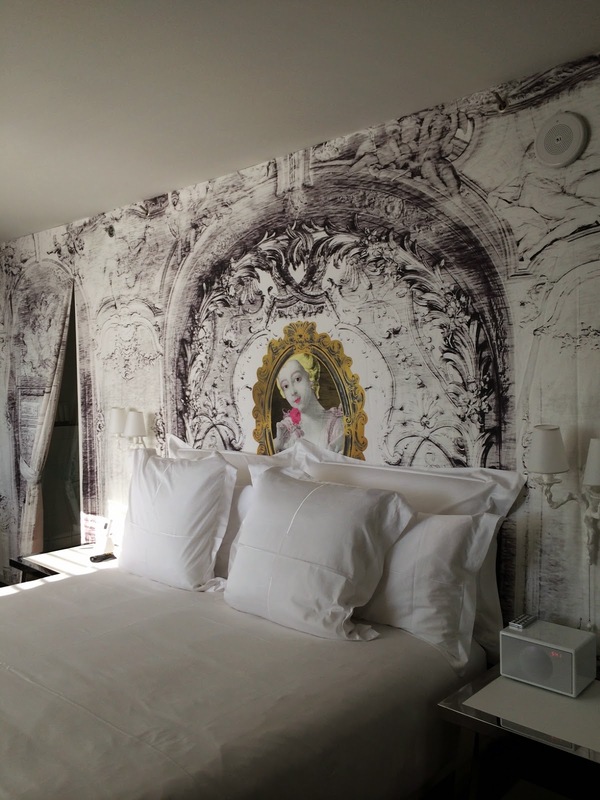 JJ thought the room was cool and trendy for those who like that, but since she prefers warm and inviting her next stay in Las Vegas will be back at her personal favorite, Palazzo. 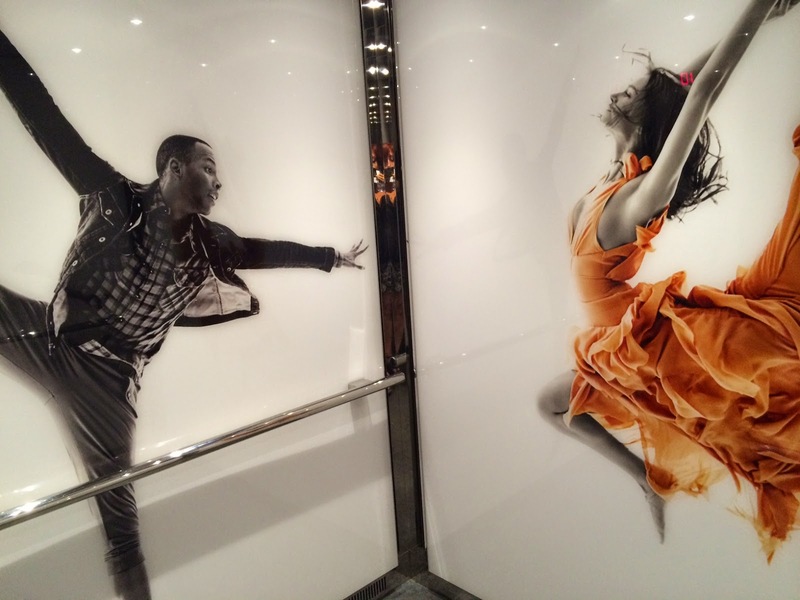 Photo above and below is the art in the SLS elevators. My first impressions wasn't good, but then I remember that a lot of people had poor first impressions of Aria when it opened, so first impressions can be wrong as many of us today love Aria. My main issue with SLS is location and not unique enough in my opinion to offset the location. I don't play at local casinos as I prefer the excitement of the Las Vegas destination, the luxury rooms, the fine dining, shows, meeting up with friends from all over the world, in one main location. 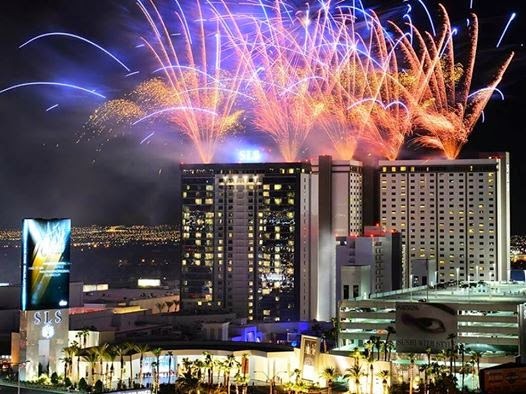 SLS has some of that but I prefer to stay at one of the strip casinos where I can easily walk to at least 4 other casinos or more if I get bored or unlucky at one venue. SLS's location isn't where I'm going to be walking to and from any of my usual preferred venues and while SLS does have the monorail near their property that's not in my opinion as convenient as it might sound. I won't judge SLS based on opening night glitches. In fact I plan on dining at one of their restaurants "Cleo" before the end of September. Perhaps my second visit will change my opinion that the casino and hotel isn't anything special and worth going out of my way to visit. 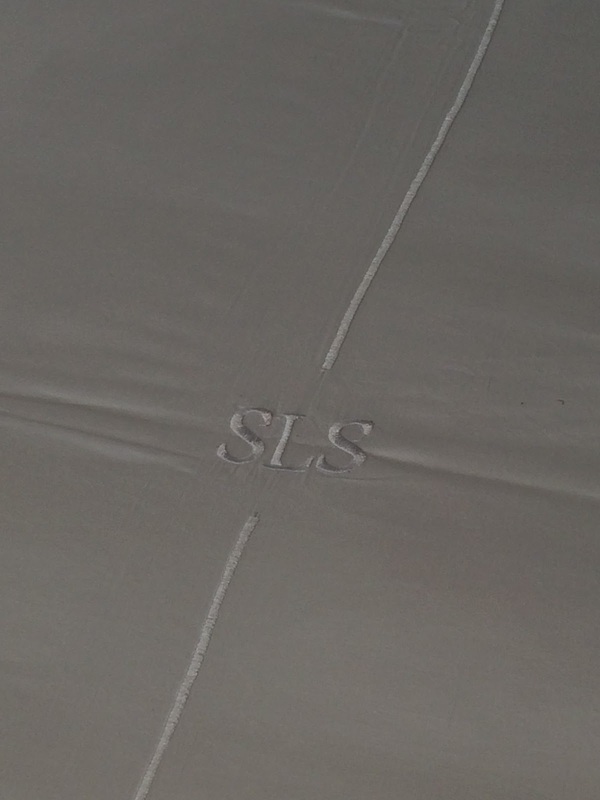 What an incredible review of SLS! Thank you Diana.. 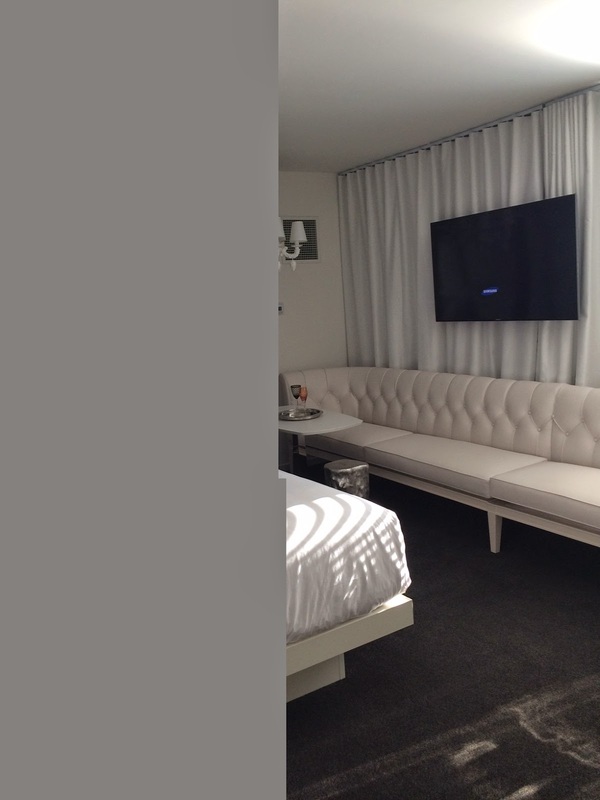 I don't think I will be staying or visiting the SLS Vegas anytime soon. They have a bunch of venues here in LA and definitely not my scene.. By your photos I can tell they are catering to the same young folks that populate their LA hotspots. 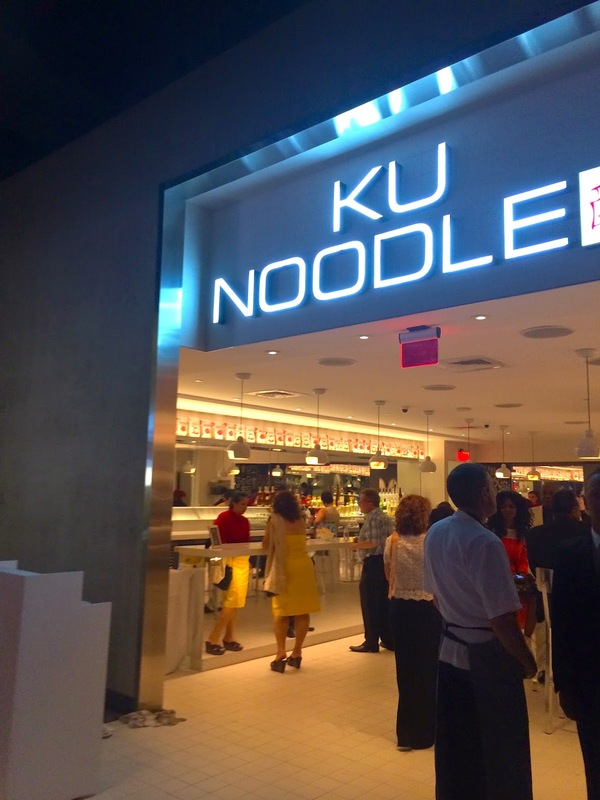 Although some of the restaurants they operate are very good the location here is inconvenient. I recently got an offer from them saying they will match any comparable Vegas "mail only" offer I get. I'm still wondering how they got my info? I'm headed to Vegas at end of month and just have no desire to make a visit. Hi Leah, nice to hear from you. I'll be in Vegas for G2E starting 9/29. Perhaps we'll run into each other? Thank you! Oh now I know why random mailers for casino offers get to me. 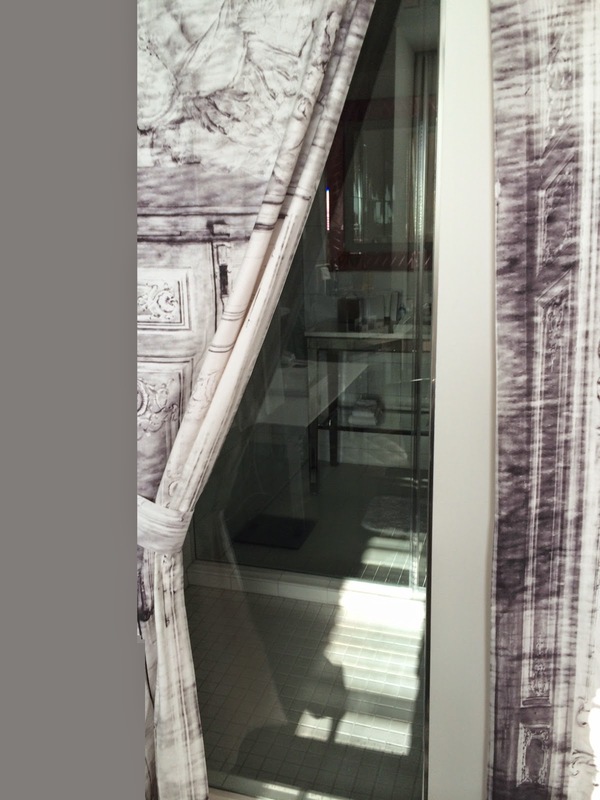 I will be at Palazzo Sept 28-Oct 1, yay!! I will send you my cell number via a private message. Look forward to meeting you! 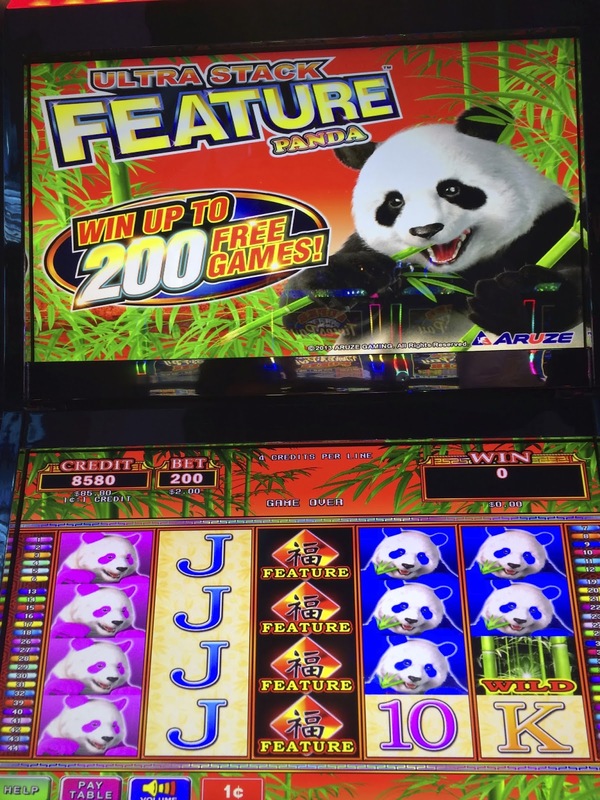 If it's your best offer and you are going to Vegas seems worth it to give them a try. If you go, have fun, win lots!